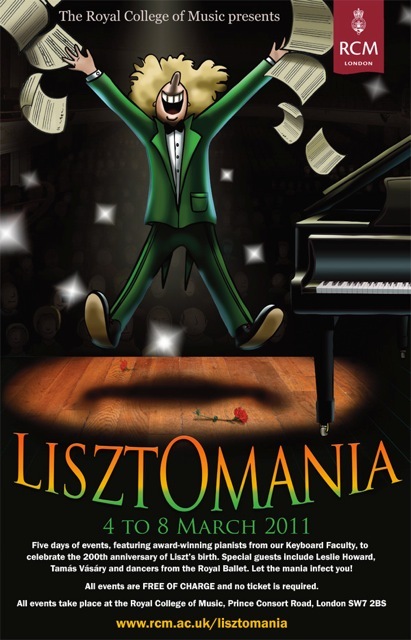 Lisztomania, the Royal College of Music’s Liszt Festival celebrating the bicentenary of his birth, gets underway on March 4. 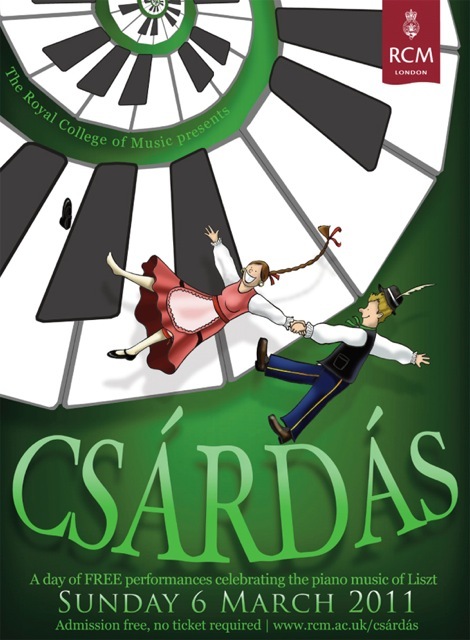 It features solo and duo performances, a lecture-recital from Leslie Howard, a masterclass with Tamas Vasary, works for organ, and Csárdás – a whole day of Liszt and other Hungarian composers’ piano works, including all the Liszt Hungarian Rhapsodies, plus folk songs and folk dances, webcast live from the Amaryllis Fleming Concert Hall. This entry was posted in Composers, Music, Pianists, Places and tagged Franz Liszt, Hungarian Rhapsodies, Lisztomania, Royal College of Music Csardas, Royal College of Music Lisztomania. Bookmark the permalink.